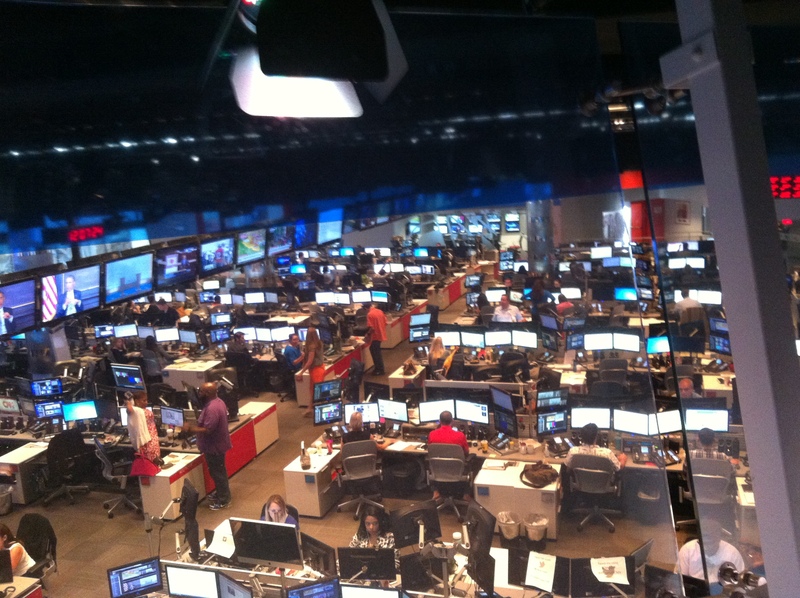 We went on a tour of the CNN newsroom. So cool for a journalism nerd like me. This was only seen through a glass window overlooking the newsroom, but still amazing to see it buzzing with activity. It is a 24-hour operation, of course, and it seems each reporter, producer, etc., had three screens of their own. We were taken through the whole process of producing a story, and a tour of the seven story building. The headquarters occupies a building that is also a hotel, which was purchased by Time Warner (parent company of CNN) several years ago.